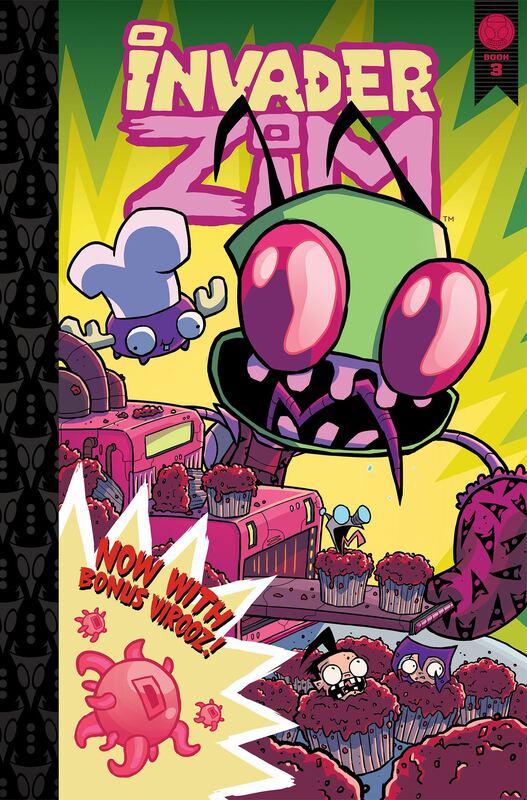 Get ready for another deluxe hardcover edition of the critically-acclaimed Invader ZIM comics, based on the fan-favorite Nickelodeon TV show! This collection of issues #21-30 includes the 4-issue VIROOZ arc, the 2-part "Darkpoop" story, and "Terror of the Time Thingy," a tale of time-bending madness that will either melt your mind or elevate it to another level of being. (No refunds either way.) So sit back and enjoy these hilarious comics, specially enlarged for your reading pleasure. Recap Kid-approved!